Good value with Entertainment card. 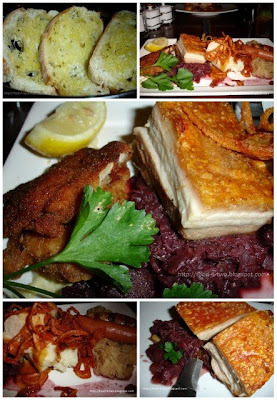 Could do without the sausages, all you really want is a taste of the pork belly with the crispy crackling. The chicken schnitzel is crumbed nicely; crispy on the outside but succulent on the inside. On this day, the pork belly wasn't so great. The pork crackling wasn't consistently crispy, and some parts were quite leathery.